My quilt market post is a little late. We found many great restaurants and walked all over the strip. The first night we had Proper pizza and salad. On Thursday we went to School House and started with Carolyn Friedlander. Her quilts were very thought provoking. How did she construct them? Here are a few more of her book quilts. 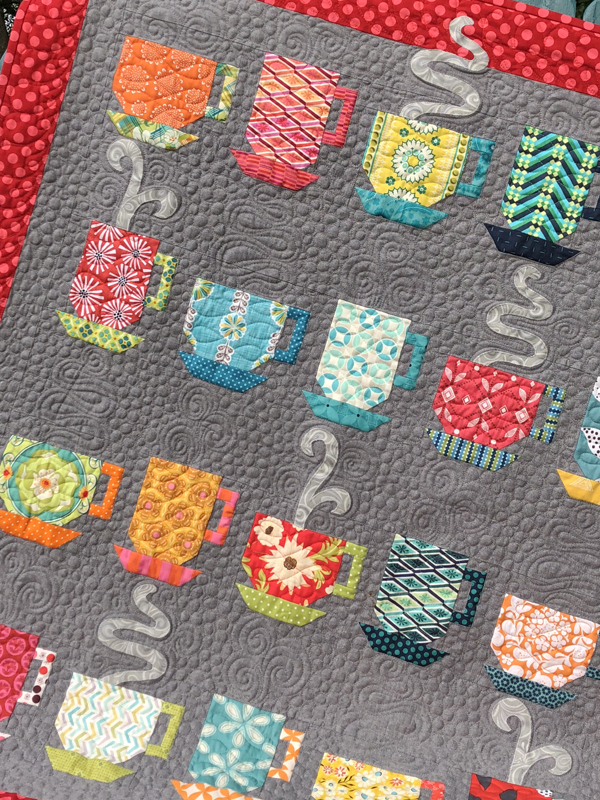 I absolutely love the Horizon quilt made with various solids. And this denim quilt looks difficult but I really want to try it. 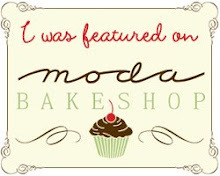 Rosanne Kermes of Rosebuds Cottage. Holly needed help packing swag bags for her school house. We were looking for a break and this was just the ticket. Holly had Cheezit's, fresh raspberries and peanut m and m's. I couldn't pass that up so I rolled up my sleeves and went to work. 120 bags later, we were done. a bundle of her low volume fabric for a giveaway here on my blog. The fabric roll is 6" x 42" of 5 different fabrics. a heart template from Edyta Sitar. and you will be in the hat to win! I have a bunch if LV fabric to work into a project. I like a POP of COLOR somewhere ! I love the low volume trend but I also love vibrant quilts! The low volume quilts are more thoughtful for me. Amazing look..I'll do market someday! I love low volume when I'm reading!! Just kidding:) They make for a peaceful quilt. I like low volume, it is better than plain white for me. I like a bit of interest in every fabric! PS My kitty goes in the dishwasher too! I think of the Low Volume trend as a modern take on the scrappy backgrounds you can find in traditional, antique scrap quilts. I am happy that some fabric designers are embracing it and designing interesting LV fabrics. I seem to be leaning more to the low volume quilts in the last 6 months, enjoying the Japanese taupe fabrics too. I love lv fabrics because I use them in place of solids. I still need busy fabric to hide all my mistakes! I love the low volume trend~ they give quilts lots of pop! Thanks for the fun giveaway! I like the low volume. I don't have to squint. I have not really jumped on the low volume bandwagon because there is not much of it where 8 live, but I would love to try to work with that bundle. Low volume fabrics make more interesting backgrounds instead of using solid or tone on tones. I love low volume fabrics/quilts! I need some :) Thank you for the chance! I think that the low volume are fun and they look so soft and restful. Lovely giveaway. I like the low volume quilts. Great way to use some scraps and make a quilt more interesting. I love the low volume prints and my stash really needs to be stocked. Thanks for a chance. I admit that I love low volume fabrics. Thanks for the chance to win! What an awesome giveaway! I love low volume fabrics because they make such soothing, meditative quilts by themselves, and they also provide great backgrounds for more colorful quilts. Thanks for the post about your trip, and thanks for your inspiring blog! I have been wanting to make a low volume quilt for quite some time... It would probably be a possibility if I had fabric for it!!! Thanks for the chance! I haven't quite figured out the low volume thing yet. It seems that there are several "definitions" of what makes a low volume quilt and I don't know which one to follow! I love Low Volume. Put a bunch together for a lovely scrappy background. The softness of it is one thing that make them so appealing. I love low volume in lieu of a white, or other solid background for the scrappy, warm look they give! I love a variety of LV as a background, but I can't get excited about a completely LV quilt. I like coloe! I think low volume is such a trendy word. I have always liked calmer, smaller patterned fabric added to my quilts to tone down the otherwise very busy, rather vibrant focus squares. I do like the mixing of all the different "low volume" for background instead of just using one color for background. Thanks. Low volume quilts are really dreamy to me. I have yet to make one but I have added a few LV fabrics to my rather bright stash. 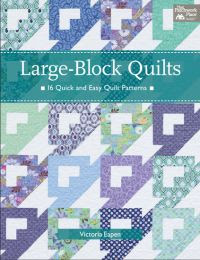 I think the Low Volume Fabrics are fantastic to use in mixes color quilt construction....something a little different to work with....and maybe sometimes just what a patchworker is looking for. I love low volume quilts too, but they always have to have a pop of color for me. I LOVE the low volume fabrics & have been using them for years! Beautiful! I love the low volume look, though I haven't tried much of it myself. I love the low volume trend, but I have to mix some bright colours in with it as well! I love low volume prints as a background, they seem to add something special to a quilt. I think low volume has been around for a long time but this generation has just found a name for it. Thanks for a chance to win. I have a little low volume fabric and really like it ...thank you. the quilts are fantastic!!!! My quilts are a mix of volumes! Hi or Lo, whatever makes the quilt beautiful!! I love the LV trend. It's very cool and relaxing to the eye. Thanks for sharing about your adventure and for the giveaway. I haven't made a low volume quilt yet, but it is on my list. I'm don't like the all low volume quilts. too boring. I like to see the design. But I like the combo of low and high volume. I love LV fabric! I am a subtle kind of gal!! Thanks for the chance!! I really like the LV/LV fabrics. They introduce intrigue and draw the eye in rapidly. I have been wanting to make a low volume quilt just for a change! Thanks for the give away. I'd love to try that fabric, looks interesting. Happy Last day of school too!! I like low volume fabric but I don't have much of it. I am trying to use as much of my stash as I can so I don't feel guilty buying more fabrics. I love low volume fabrics, especially the ones that have writing in them. But I think my love comes from following Bonnie Hunter for so long and knowing that they will all work so well together as long as they read "light." My quilt projects are a mix of fabrics.I love use low volumen with bright and colorful fabrics. but maybe winning some to play with would be fun! thanks for the chance to win! Low volume fabric are perfect for just about any quilting project. I love how you can use only LV or throw in some bright fabric and come away with totally different quilts. I love the low volume trend right now, but mixed with others fabrics. It's never too late to post about your trip to quilt market! It sounds like you had a great time. I used to make my scrap quilts with tone on tone white or off white prints (spools, buttons, plaids, hearts, etc), but now I like to add small prints just to get outside of my box. They had a little more interest. I am starting a quilt where there should be low volume mixed with vibrant colors . As I am a vibrant girl, I had to buy some LV. It should be challenging to mix the two kind of fabrics. Thanks for a great giveaway. I like low volume. it is especially nice as a scrappy contrast to bright fabrics. I really like low volume when it contrasts with bold colors and prints. I'm somewhat mixed on low volume at the moment but want to give it a try. I love the low volume quilts I've seen, but I haven't made one yet. It looks like you had a lot of fun. Thanks for the chance to win. I've never had a chance to make a low volume quilt. I like some I see, and hate others. I would love to try it myself and see how I feel about it then. The LV trend.... I really think quilters have always used them ? I do like them a lot along with neutral solids! thanks! Low Volume quilts and so "ho hum" ones. I really like them used as a scrappy background with some very brights. Love it though seems like a new name for an old idea. I like the use of Low Volume fabric as a background to bright colorful fabrics. I really love the denim quilt and I totally think you should do one! I like the low volume trend. It adds a bit of fun to the quilt! Low volume quilts to me always appear so calm and peaceful - two very good things in a quilt. Well, I'm just getting started so I'm not sure I have an "informed" comment on the low volume trend, but these quilts take my breath away! I'd be so happy to win. Thanks for the giveaway! I love the low volume look. It gives quilts a soft and cozy feel. All for Low volume, it adds interest to a quilt. I like the look of low volume quilts, but I love bright fabrics. One of my guilds has a low volume challenge coming up so, I may just have to do it! I love the dimension that low volume adds to quilts, but have yet to build up enough of a stash to try it myself. I would love to incorporate some LV fabrics into a quilt..haven't decided if I would make a whole quilt with them or not. I love the look of the low volume/low value quilts but doubt if I have a good enough eye to pull it off and get that lovely effect. Low volume is peaceful I agree... it also looks so soft that you want to wraps yourself up in it! Thanks for an opportunity at your giveaway! I also love the low volume look. I realized in going through my stash that I did not have many. I like using them for the solid fabric look when using with other colors. I'm new so I really don't have many low volume fabrics, but from all the quilts and projects I've seen so far, I love how they are looking! Thanks so much for the giveaway! Sometimes it is better to have a low volume quilt than one that is so bright that it stands out. I love the low volume fabric. I'm a more is more kind of girl. Low volume has it's place, but it's not in my quilts! I think Low Volume fabrics are just another color in the palate -- interesting to experiment with, but I tend to come from the "all things in moderation" camp -- it has its uses, but you CAN have too much of a good thing. I am trying to get comfortable with different background fabric. Can't seem to pull away from white. Thanks for the chance. Sort of out of my comfort zone, but I really like the denim one. Really need to step out of that zone sometimes. low volume is right up my alley, and im determined to use my stash up vs. buying more!! I love low volume as a background with pops of colour, I made a complete LV quilt before the craze started, which was a birthday present and very well receiced ! I am loving low volume fabrics. Have always loved scrap quilts but adding scrappy background fabrics was new to me. I love the extra eye candy element it adds and it also wards off any chance of boredom while stitching away. Thanks so much for the chance !! June 5th is my birthday ;), I was a little late to the whole LowVolume action, but jumped on board on my last 2 purchases and bought a whole bunch, I plan on making a whole quilt out of just LV prints. I like the look of low-volume, but you have to have so many different prints to create the proper look. My stash tends to run in all-over prints, textures and solids. 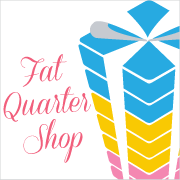 I love, love quilter's candy! I've used mine to make hand-basted hexies! I really like the low volume prints that are out, but I like mixing them with other fabrics. I haven't seen a low volume quilt that I like so much! I love low volume quilts, but like to add a splash of color as well! I like low volume fabrics, but I don't have much. I would love to get some more. I love low volume but I always love that POP of color stuck in somewhere! With 3 kids, we live a pretty 'high volume' kinda life - so the calm and relaxing visuals from a low volume quilt is a big draw! I've never made a low volume quilt, but I've been enjoying the ones I see on blogs the past few months. I've started collecting low volume fabric and want to make a scrappy quilt using low volume instead of white fabric to contrast with my printed fabric scraps. I have seen a lot of LV quilts that look really appealing and soothing, but when I am choosing fabrics, I always find myself drawn to a lot of color. So I guess that lots of color fits my true quilting persona. I love the LV craze! I just need to build my stash! I've never heard of it before! But i am new to quilting. I do love that denim quilt. I have been saving old jeans to upcycle into something, so maybe they will become quilts! Personally for me, I don't like the trend. However, I've seen some incredible quilts that others have made. It's just not for me. I like the LV quilts when the fabrics are used instead of a solid white.